Names: Cornuta means “horn.” The “horn” or “beak” refers to the husk that encloses and projects past the nut. 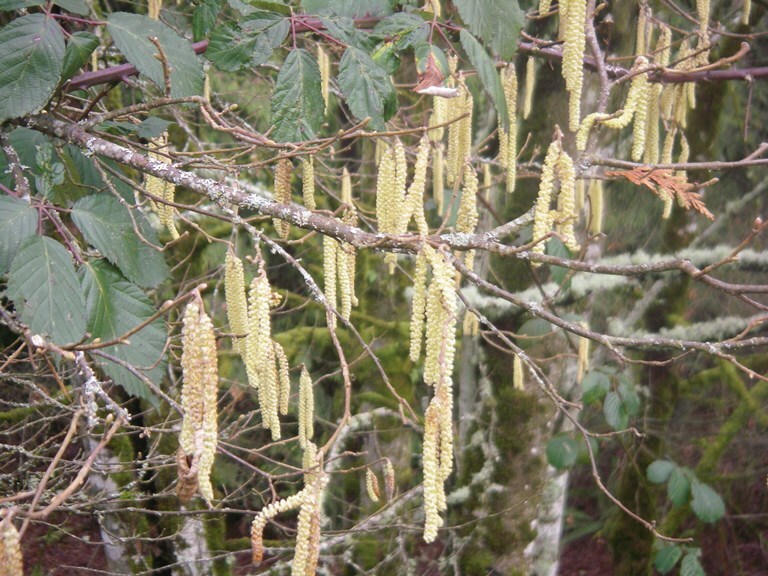 This species is also known as beaked hazel, beaked filbert; American cuckold nut, western hazelnut or western hazel. Relationships: There are about 15 species of hazels, also known as filberts, found in the temperate regions of the northern hemisphere. One other species, the American Hazelnut, Corylus Americana, is found in the eastern North America. Most commercially grown filberts are from the European species C. avellana and C. maxima. “Filazels” are hybrids of C. avellana and C. cornuta. 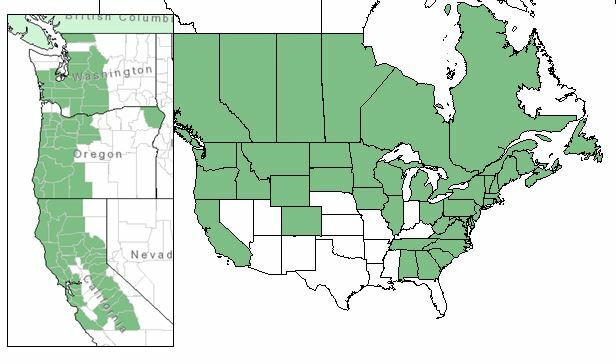 Distribution of Beaked Hazelnut from USDA Plants Database; on the left is the distribution of Western or California Hazelnut. Distribution: The species is found from British Columbia to California, east to Newfoundland and Georgia; but it is separated into two varieties. The California Hazelnut, or Western Beaked Hazelnut, C.C. var. 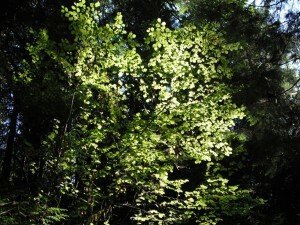 californica, is found from B.C. to California, mostly on the west side of the Cascades. 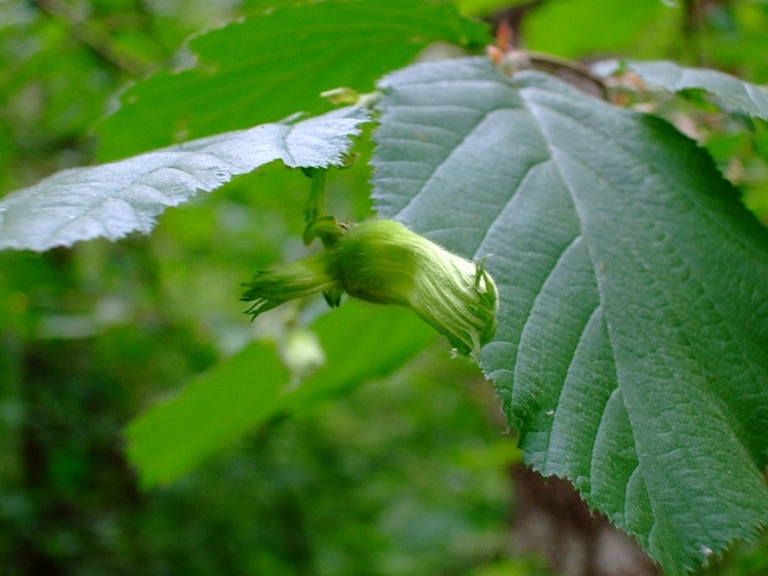 The “Eastern” Beaked Hazelnut, C.C. var. cornuta is a found from B.C. and the northeastern corner of Washington State to the eastern shores of North America. The 2 varieties will hybridize where their ranges overlap in southern B.C. and eastern Oregon. 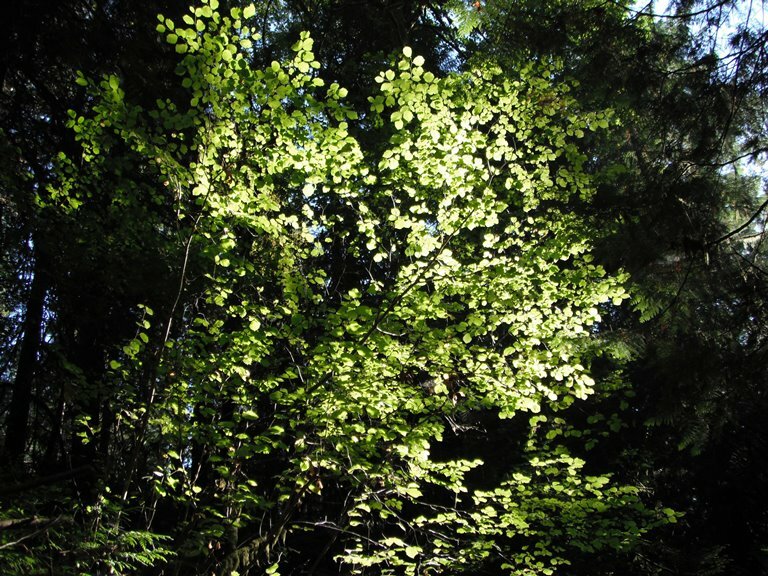 Growth: Beaked Hazelnut grows 3 to 15 ft. (1-5m); California Hazelnut may grow even bigger, to 45 ft (15m). Habitat: It grows best in moist, well-drained sites; open forests and edges of forests. It will regenerate from the root crown after a fire. Wetland designation: FACU, Facultative upland, it usually occurs in non-wetland but is occasionally found in wetlands. 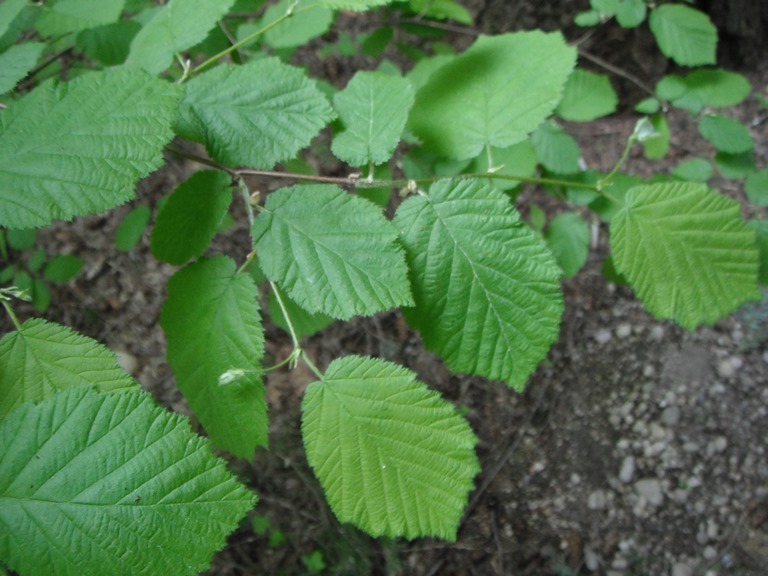 Diagnostic Characters: Beaked hazelnut is easily recognized by its rounded oval, fuzzy leaves with doubly saw-toothed margins. They turn a bright yellow in fall. 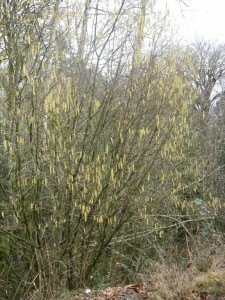 Male catkins appear before the leaves. The spherical nuts are enclosed in a husk that projects beyond the nut to form the “beak.” The beak can be 2-4 times the length of the nut, but on the California Hazelnut it is much shorter, usually less than twice the length of the nut. 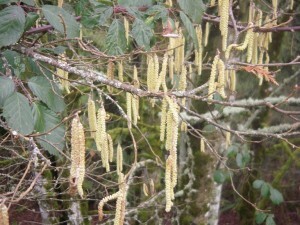 I n the Landscape: Hazelnut is the earliest shrub to bloom. 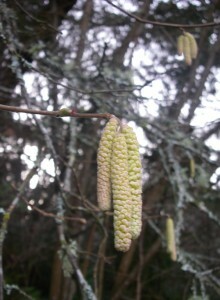 Its long catkins are a welcome sight in the garden in late winter. 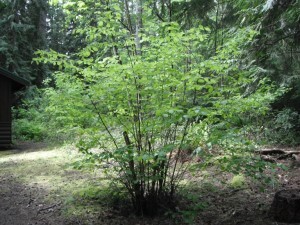 It is an attractive shrub in a woodland garden. Its autumn yellow leaves are one of the brightest in fall. 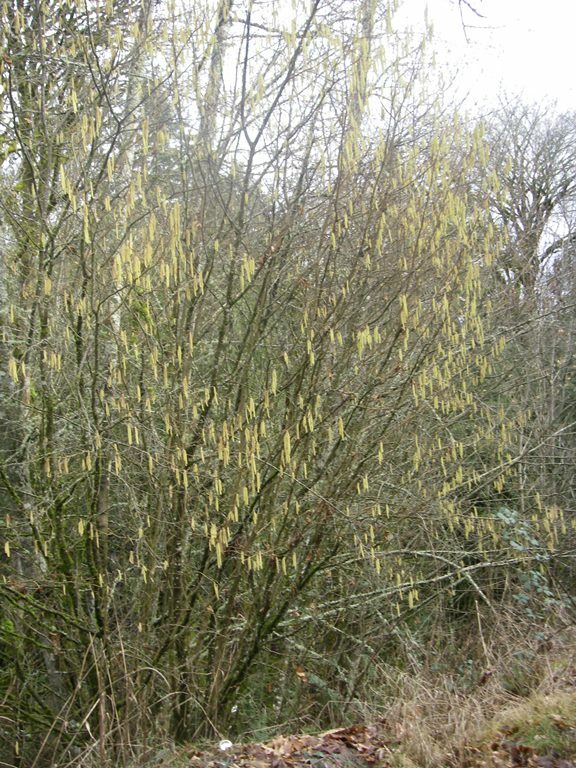 Phenology: Bloom time: January to March; pollinated by the wind. It is a major allergen. Nuts ripen September to October. Nuts are dispersed and cached by squirrels and jays– in fact you are lucky, if you find any with nuts inside before them! Propagation: Hazelnuts should pass the float test; any floaters are empty and should be discarded. (You could crack a couple open to be sure.) Seeds are best sown as soon as they are harvested in a cold frame. Stored seed need a 3 to 6 month cold stratification. Presoaking in warm water for 48 hours and a two-week warm period prior to cold stratification may be helpful. Sown seed needs to be protected from rodents. 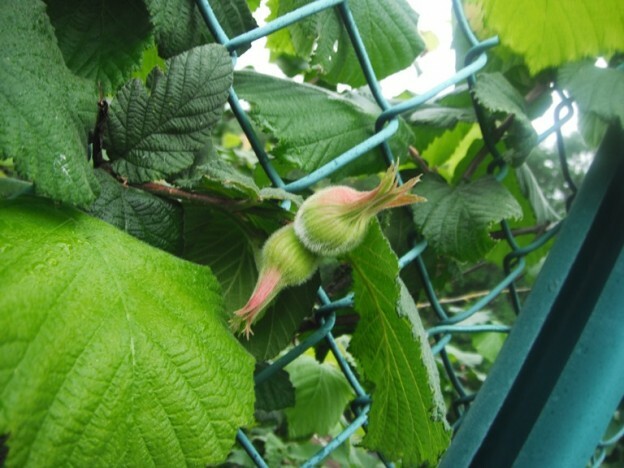 Hazelnuts may also be propagated by layering or division. Use by people: Natives ate the nuts; some ate them fresh, others buried them to eat later. Twisted twigs were used to tie things. Stems were used for weaving baskets and fish traps. Straight stems were used for arrows. Use by wildlife: Many birds and mammals eat the nuts including Steller’s Jays, Douglas Squirrels and Golden Mantled Ground Squirrels. 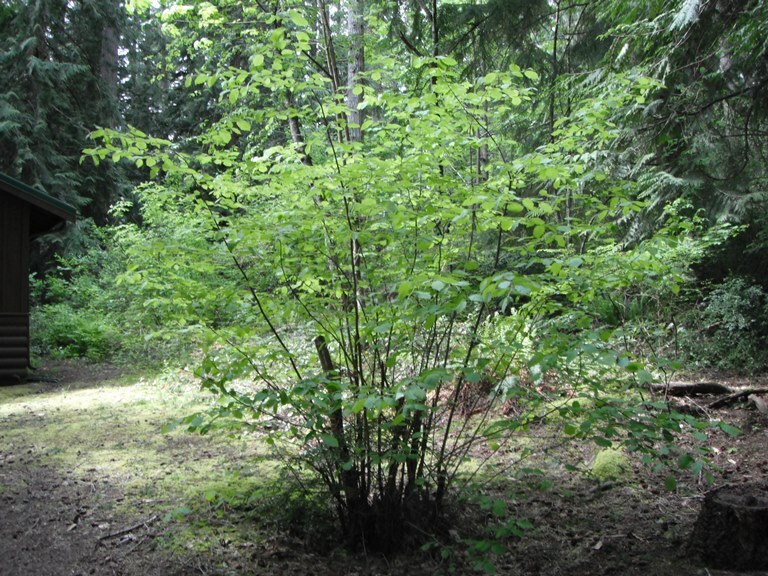 This shrub is good for cover and nesting sites. 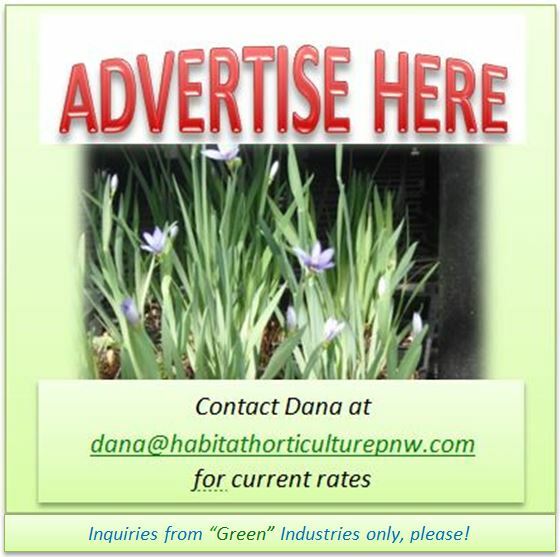 This entry was posted in Deciduous Shrubs & Vines on January 18, 2016 by habitatdana.